Georgia company, Liberty Defense, planning to test new device at or near Rogers Arena. 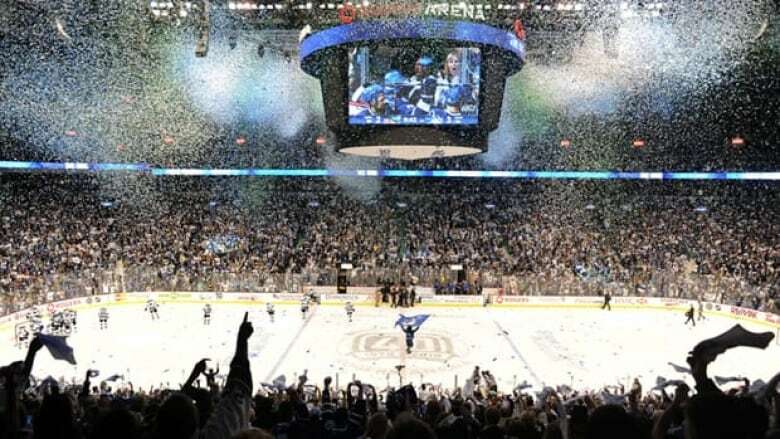 Fans attending Vancouver Canucks games or other events at Rogers Arena will be among the first members of the public to be screened using new radio frequency wave devices intended to detect concealed weapons. Liberty Defense, the Georgia company behind the so-called Hexwave device, is planning to test its product — which is still in development — later this year or early next year. 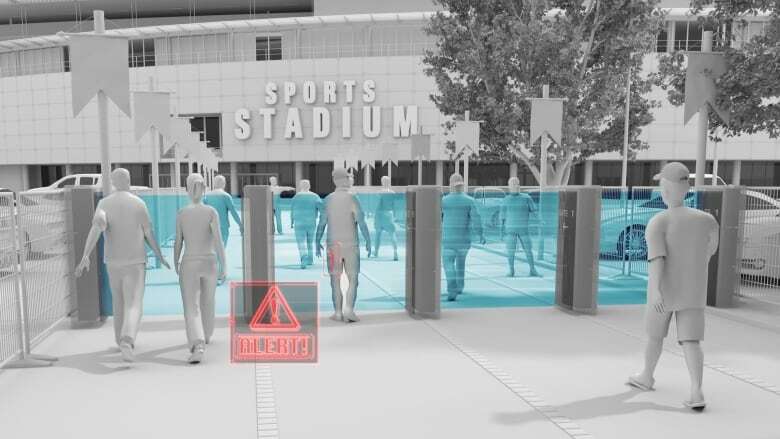 According to Liberty Defense CEO, Bill Riker, the device will be able to detect and identify metallic and non-metallic objects hidden under clothing, or inside bags — anything from firearms, to explosives or knives. 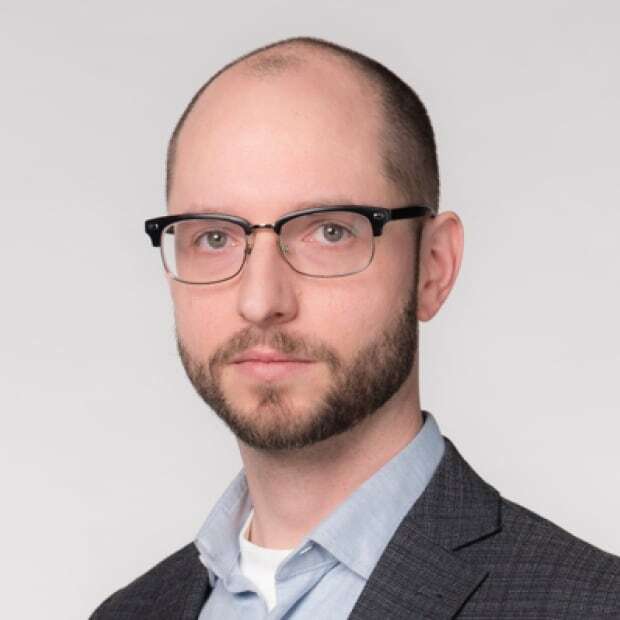 "The system captures 3D objects of interest ... a handgun, or a cellphone, and that is what's being analyzed by the artificial intelligence," said Riker, who went on to say the scanned object would be compared to a database of potentially dangerous items. The system would then alert the security team if there's a possible threat. According to Riker, the alert could be specific — noting what object has been identified and where it is on the person — or simply a red or green light to indicate whether further searching is required. The underlying technology was developed at the Lincoln Laboratory at the Massachusetts Institute of Technology and licensed to Liberty Defense. The device could be concealed, or placed out in the open. "You're coming up to an entrance and clearly there's some panels there — it's up to the facility to say, 'Hey, this is the inspection area,'" he said, adding that a person would have to pass by two panels — one on each side — to be thoroughly scanned. Vancouver's David Sidoo was a founder of Liberty Defense, and sat as the company's chair, but Riker said he left the company in March. Riker wouldn't comment on whether his departure was related to the legal issues Sidoo faces, stemming from a U.S. college admissions scam. "I think, you know, it was identified that he would step down and he has," said Riker. "We have a strong board and team of advisors to help move this company forward. But David is no longer a member of the company or on the board." Francesco Aquilini, whose company owns the Vancouver Canucks and Rogers Arena, is also involved in the company. According to Riker, he has a stake in Liberty Defense and sits on the advisory board. That's how the stadium was identified as a place to test the new device before it goes to market. "It's going to be up to the venue on whether or not they actually have people go through it on a voluntary basis, which will enable us, jointly, to get an assessment of what to refine on the system," Riker said. Once the testing is complete, Riker said he hopes the system is ready to deploy commercially by the summer of 2020. He said it's too early to say what it will cost per device, but that it will likely be in the range of $50,000 to $60,000.